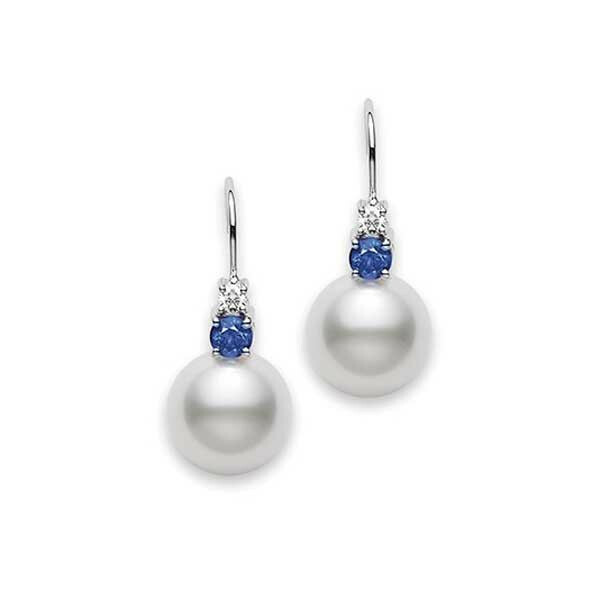 These earrings from Mikimoto are classic without being conventional. A French wire leads to a diamond with a beautiful blue sapphire cluster beneath, ending with an impressive 11mm white South Sea pearl. These earrings are what well-dressed women will be wearing, day or night.